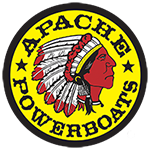 The world’s most trusted name in offshore powerboats introduces its most maneuverable vessel to date. 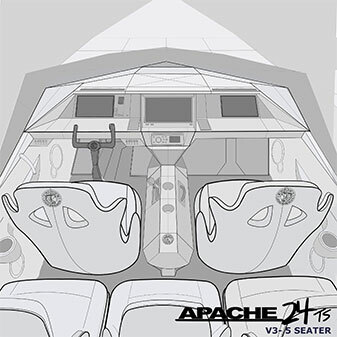 At twenty-four feet, the Apache® 24 TS launches an exhilarating new line of accessible, recreational vessels from the master craftsmen who custom manufactured more than eight hundred rough water, deep-V racing boats, including the world speed record-holder from the U.S. to Cuba. 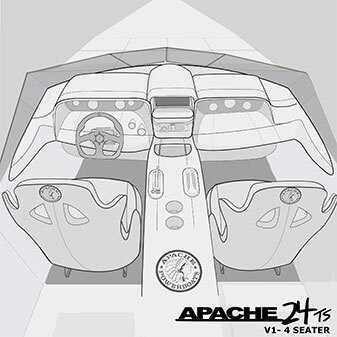 The Apache® 24 TS is the ideal vessel for the discerning speedboat enthusiast looking to add a sporty yacht tender to the garage or for the emerging hobbyist determined to christen his collection with a statement. 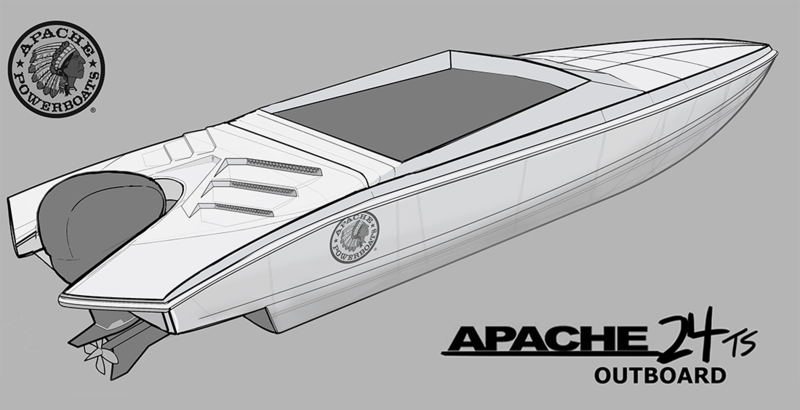 The incomparable smoothness of its ride means the whole family can join you on the open water to partake in the pleasures of power boating. 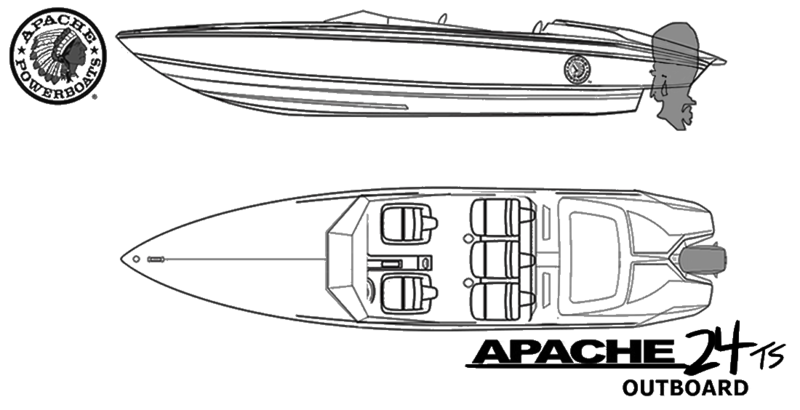 The single engine can be inboard/outboard or outboard-powered. 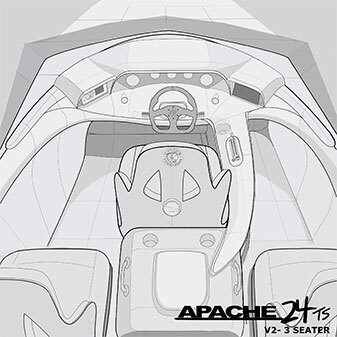 Every Apache® 24 TS features Recaro® seats and luxurious components tailored to the client’s specifications. 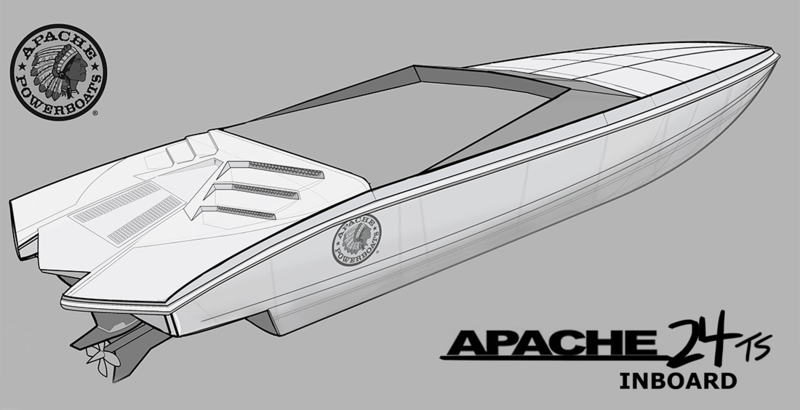 Like all Apache® models, the sleek, streamlined 24 hull design excels in adverse seas, combining the agility of an elite racing boat with premium value at an introductory price. 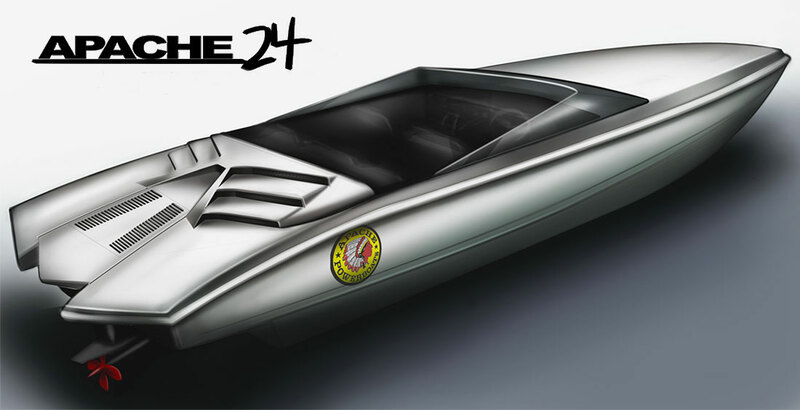 We would be honored to have you share the legacy of dominance and join our championship heritage. 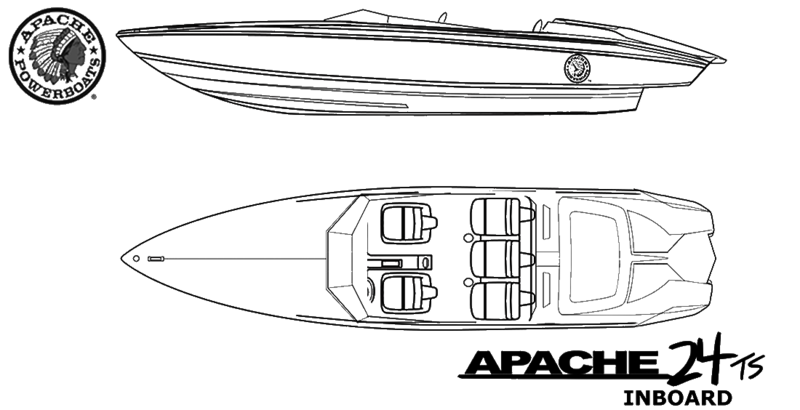 Come ride the next wave of Apache® technology and earn your checkered flag.